Extended review on The Review Board. “Baby” Teegarten has a dream: a dream to sing Jazz in New York City. However, in her quest to achieve that dream, she runs into many pitfalls causing her to grow up way too soon. This is set up in Mississippi in the summer of 1925, and this sparked my interest greatly, due to the fact that Mississippi is my place of origin. The first thing I noticed was the tone of this work. Jazz Baby is a mix of comedic sprinkles, bold dreams, slaps of reality, long suffering, and lingering hope, yet conveyed in a way of it being “just another day” in a Mississippi town. I could feel all the emotions the main character experienced. From the apprehension of her first shot at escaping her circumstances (singing for church folks); to her conflicting inner battles with her attraction to different characters; to her longing for something beyond her Mississippi existence. The Southern dialect was amazingly on point. I found myself smiling each time the author used “fixin’” because it’s one of those terms where if I was talking to my neighbor at home, he would know exactly what I meant. The spelling and grammar (not related to dialect) was flawless. The resolution has a lingering effect, leaving the reader to come up with his own conclusion. 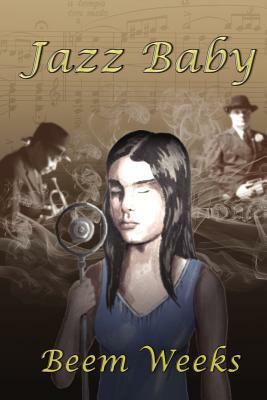 Does “Baby” still have the Jazz in her or did all of the troubles sap it out of her? Mr. Weeks, you’ve done the South proud! I highly recommend this work.